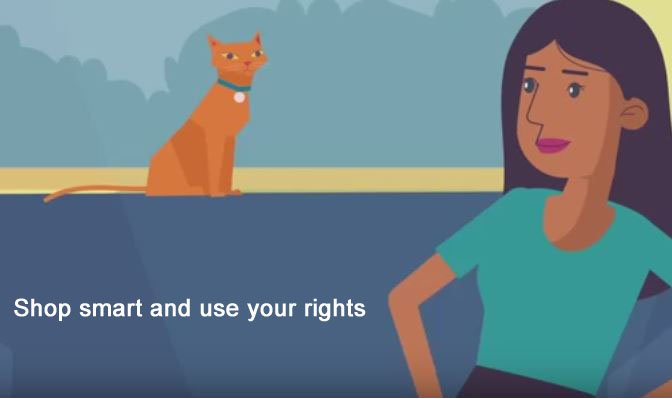 New videos and guides are available to help consumers with disability understand their rights. An educational video on how to shop smart and use your rights. Easy English educational video (with Casey and Reece) on how to shop smart. Fact sheet with a short summary of your consumer rights and the steps you can take to resolve problems. Detailed guide explaining your consumer rights, how to be a smart shopper, what to look out for when signing a contract/service agreement and the steps you can take to resolve problems. Fact sheet on where to go for assistance or to make a complaint about a product or service.